Yay it's time to read The Iranist! The International Atomic Energy Agency (IAEA) released a long-anticipated report about Iran’s alleged nuclear weapons work. The report found Iran conducted a number of experiments “relevant to a nuclear explosive device,” but stopped in 2009. However, there was no evidence Iran succeeded in developing a blueprint for a nuclear bomb. Still, nuclear policy wonks debated on Twitter the significance of the IAEA report. Anti-terrorism measures are currently being taken in Tehran amid fears of an ISIS attack. Armed officers are patrolling major streets, standing guard outside metro stations, and checking people’s bags for anything suspicious. Rumors on social media seemed to point toward targeting the holy shrine of Imam Reza in Mashhad as well as the country’s airports. A number of Twitter users were temporarily suspended for Tweeting about Iranian Revolutionary Guard Corps (IRGC) Commander Qassem Soleimani. His name seems to be the common denominator for the suspended accounts, although Twitter claims it is a spam issue. On Thursday, jailed Washington Post reporter Jason Rezaian surpassed his 500th day in Evin prison. Rezaian has been imprisoned 56 days longer than the hostages held at the U.S. Embassy in Tehran. According to executive editor Martin Baron of the Washington Post, the 500-day mark is “the grimmest” of milestones. Rezaian’s brother Ali delivered a petition with over half a million signatures to Iran’s Mission to the United Nations in New York calling for the reporter’s release. “They need to know that folks around the world are concerned about this,” Ali Rezaian explained. 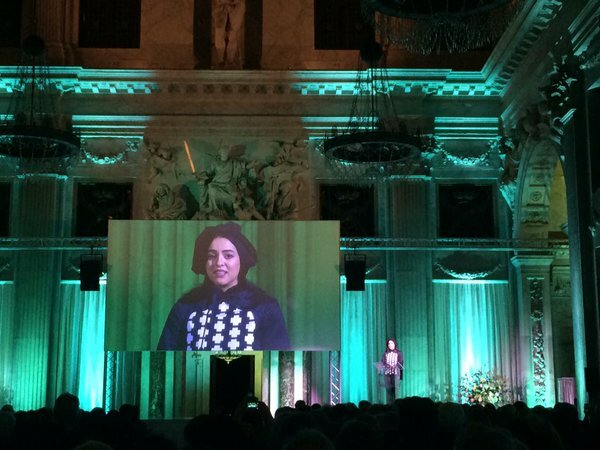 Iranian photographer Newsha Tavakolian traveled to the Netherlands to accept the Prince Claus Award. Her work has been featured in Magnum Photos, National Geographic, and Time, amongst many others. Tavakolian intends to donate part of her €100,000 prize money to Iraqi and Syrian refugees. Here is Newsha Tavakolian accepting her award. -- Iranian-American executed in Iran over murder charges in California. -- Iran more dangerous than ISIS, according to retired head of IDF intelligence. -- The removal of sanctions will be good for Iran, but also disruptive. -- Who is behind the attacks on reformists? -- Iran’s very own Al Capone of oil revenues. -- Can Washington separate its Iran policy from Israel? -- Iranian woman amongst those killed in San Bernardino shooting. -- Prison guards turns blind eye to attack on political prisoners. -- Fifth grade math test question uses Hajj stampede in Mecca as example. -- Iranian-American Dallas city official not allowed to board flight in New York. 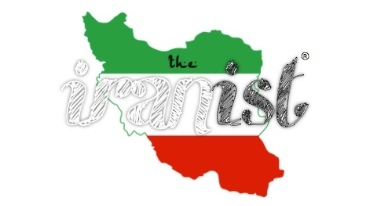 -- Environmental Protection Org on how to confront Iran's environmental challenges. -- Officials discuss the potential for Iran to mediate between Russia and Turkey. -- Maz Jobrani adds a little Iranian flair to Adele’s “Hello”. -- Iranian family starts a movement to tackle homelessness/hunger in south Tehran. "The Eye of the Shah: Qajar Court Photography and the Persian Past" photo exhibit, hosted by NYU's Institute for the Study of the Ancient World, is happening until January 17, 2016. Steptoe & Johnson in DC are discussing "The Outlook for Economic Sanctions in the Next Year: Focus on Iran" on December 7th. The University of Bristol's Department of Archaeology and Anthropology is hosting "The World of the Persian Pharaohs" with Dr. Aidan Dodson on December 15th. Copyright © 2015 The Iranist (in Beta), All rights reserved.